For Volume Purchases please leave everything in the CART and we will adjust the shipping for you. ie: buy 4 pots and only pay 1 shipping cost. Or write us at info@carparelliguitars.com and someone will get back to you asap! 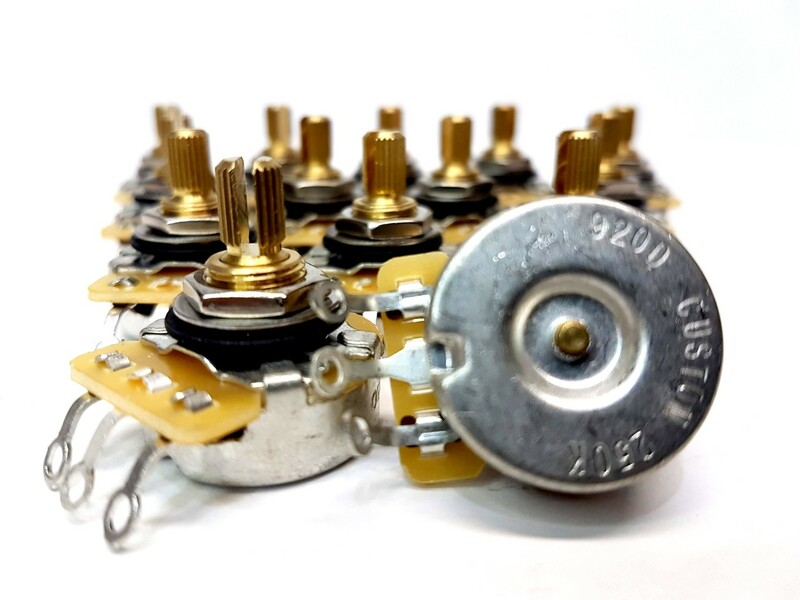 Tone / Volume 250K ohm split shaft potentiometers. These pots are low torque, +- 10% tolerance and are the exact specification as the Fender CTS pots.